As we conclude Women’s History Month, a month when we should be celebrating the contributions and accomplishments of women around the country, we have instead read headlines that remind us that history has a tendency of repeating itself. This week, a report from the Writers Guild of America found that women and minority writers working in TV and film are still lagging behind in pay and employment levels. Meanwhile, earlier this month, we saw two widely publicized examples of women’s voices being silenced with the removal of Gloria Steinem’s interview from clothing retailer Lands’ Ends’ website and the cancelling of Melissa Harris-Perry’s show on MSNBC. What a Women’s History Month. In both the Steinem and Harris-Perry cases, corporate entities were pressured to maintain the status quo, resulting in the silencing of two prominent voices, known for lifting the voices of women to the forefront of media and advocacy. 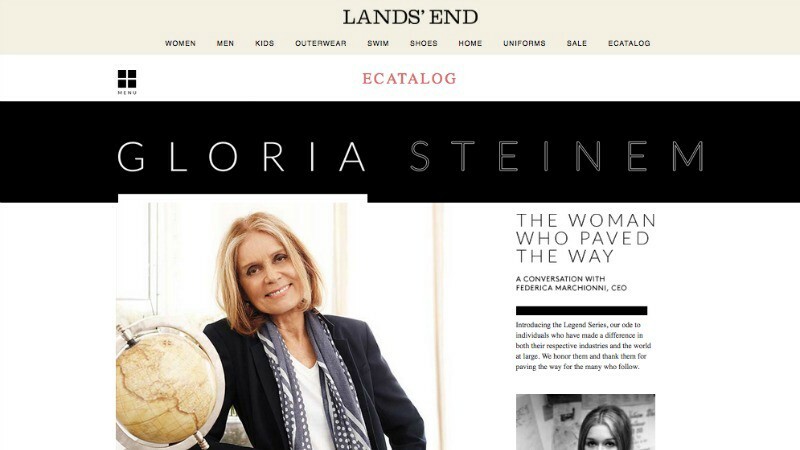 Retailer Lands’ End even issued an apology for featuring the interview with feminist writer and activist Steinem in its spring catalog, as part of the company’s “Legends Series.” Lands’ End was pressured to remove the feature and later issued the apology after anti-choice customers threatened to boycott their clothing. This dynamic is playing out behind the cameras as well. According to the Writers Guild report, the percent of TV writers who are women rose just two percentage points to 29% between 2012 and 2014. Astoundingly, however, the pay gap for female movie writers widened dramatically with women writers’ earnings dropping from 78 cents to 68 cents for every dollar netted by their male counterparts. Audre Lorde once wrote, “I write for those women who do not speak, for those who do not have a voice because they were so terrified, because we are taught to respect fear more than ourselves. We’ve been taught that silence would save us, but it won’t.” In those words, I have always seen the deep reflection of not just the need to speak for those who cannot speak for themselves but also the need to ensure that we are lifting the voices of those who are not at the table or, worse yet, drowned out by the dominant narrative. This is the culture we unfortunately live in. More unfortunate is that these two instances, and the continued lack of inclusion demonstrated by the Writers Guild report, are the common consequences of a society where women are seen but not heard and where the dominant narrative is not reflective of all women’s voices. In fact, eighty percent of traditional media commentary is written by men, and men arenearly three times more likely than women to serve as spokespeople. The result? Men’s voices outnumber women’s in advertisementsmore than four to one. 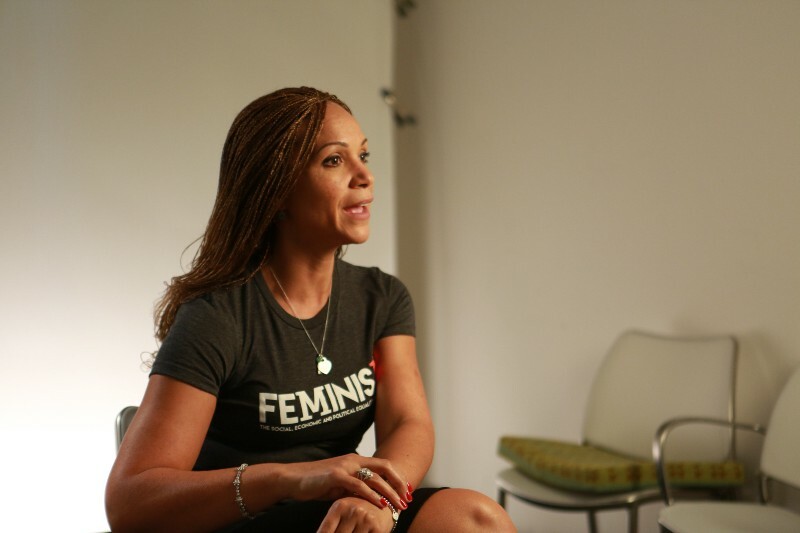 In October, Harris-Perry participated in the Ms. Foundation for Women’s#MyFeminismIs campaign, saying, “Feminism is a question and the question is: What truths are missing here? What voices are not being heard here? Who isn’t at the table who you don’t even realize is not at the table?” I could not agree with her more. This month we lost the opportunity to hear two leading voices, women who should be at the table talking about the issues that matter most to women and their communities. In Harris-Perry’s case, we also lost a fierce advocate for inclusive and diverse voices to be seen and heard on television. President Obama’s announcement of his Supreme Court nomination is a reminder of what that loss means. Harris-Perry, and her panelists, offered a range of perspectives that represented the views of women and people of color who too often go unrepresented. As the inevitable political battle unfolds around this nomination fight, we will have one less platform from which to hear those views. At a time when voices like Steinem’s and Harris-Perry’s are needed more than ever to ensure that women’s stories are being amplified and that the whole narrative is told, progress is being dismantled by censorship. When we lose voices like Harris-Perry’s and the diverse panelists she convened each week and we disallow real-life stories like Steinem’s to be celebrated, we are making invisible an entire group, not just one person. We are sending a message that diverse stories and the lived experiences of women are not important; we deprive our world of critical analyses that may reflect or challenge aspects of our own identity. Our stories are being sanitized in history without the influence of her-story. I would not be where I am now — at the helm of the Ms. Foundation for Women, the first public women’s foundation in the country — if it were not for women before me who had spoken out and told their stories. Women like Steinem, Marcia Gillespie, Dorothy Pitman Hughes, and Marie C. Wilson. Their stories, OUR stories, seldom are part of the dominant narrative but are a key part of our story as an organization and as a country. The fact that Steinem and Harris-Perry were silenced because others were made to feel uncomfortable shows how far we still have to go to achieve true equality. Ask yourself, what worthy movements for equality and justice has not made people feel uncomfortable? Last year I spoke about my own story and highlighted the fact that women are not homogenous and neither are their voices. For there to be true progress, we must be conscious of what voices are not at the table, who is not in the room, and that takes more than acknowledging their absence. We must continuously step up to the plate and highlight, invite in, and celebrate the stories of ALL women, particularly in media. We must not only reflect on the contributions of women in the past but also the presence and ability of women to continue to contribute to the larger narrative of our country. In fact, we must demand it. Nothing less will do. Originally published on Medium (3/31).